A pre-filing Injunction issued in violation of due process is void. The US Attorney sought and got a criminal contempt conviction based upon a void order,the sua sponte issued pre-filing injunction of September 20, 2001. AUSA, Robert Waters, used the power of the U.S. Government when he knew or should have known that neither the law or the facts supported his efforts. The U.S. Attorney has declined to offer legal argument that a pre-filing injunction issued sua sponte is not void and worthy of respect. See Docket Entry No. 36;See Document No. 107. On the date, December 3, 2002, when the criminal information was filed, the Eleventh had already refused to review the patently illegal sua sponte issued pre-filing injunction no less than five times. See Eleventh Circuit Case Nos. 01-13664-A, 01-15754, 01-16218, 02-11476-A, and 02-14646 below. Judge K. Michael Moore, who tried and convicted Mason of criminal contempt has not offered any legal authority that an injunction issued in violation of due process in not void. Docket Entry No. 44;Docket Entry No. 118, R&R;Order Adopting R&R, Docket No. 124. The Eleventh Circuit has refused to review this sua sponte issued pre-filing injunction for validity on multiple occasions. As a matter of fact, in the direct appeal, Case No. 01-13664-A, the Eleventh Circuit struck Mason’s appellate brief for arguing against the sua sponte issued pre-filing injunction, but when the Eleventh circuit rendered its unpublished opinion it then used the very same sua sponte issued pre-filing injunction to affirm Judge Graham. For the full story, see post this site, “Putrid Dishonesty:Beyond the Scope of Appeal“. The Eleventh Circuit has affirmatively acted as an advocate for Judge Graham in that it has not required or allowed anyone to argue for the validity of the sua sponte issued pre-filing injunction. Additionally, the Highlands County Board of County Commissioners, the Defendant in the civil lawsuits has not filed any brief stating why a sua sponte issued pre-filing injunction is not void. Chief Judge J.L. Edmondson, Circuit Judge, does not consider knowingly convicting a man of crime that does not exist or a concocted crime, is not misconduct under the Judicial Misconduct and Disability Act. See Complaint No. 05-0011. The title of this post, “Eleventh Circuit Sits Idly By While A Clearly Void Sua Sponte Issued Pre-Filing Injunction Wreaks Havoc On A Man’s Life“, is not quite accurate for a few reasons. Firstly, with respect to the phrase “sits idly by”;this phrase implies a certain passivity. The Eleventh Circuit took affirmative and aggressive acts in this matter. Secondly, Robert Waters, “AUSA”, Assistant United States Attorney, proceeded with a criminal contempt conviction based upon an order that he knew or should have known was void and without legal effect. The Eleventh Circuit presented Marcellus Mason with a Hobson choice. Comply with a patently illegal sua sponte issued pre-filing injunction of September 20, 2001or else. There aint going to be no go$$% appellate review. On the date, December 3, 2002, when the criminal information was filed, the Eleventh had already refused to review the patently illegal sua sponte issued pre-filing injunction no less than five times. See Eleventh Circuit Case Nos. 01-13664-A, 01-15754, 01-16218, 02-11476-A, and 02-14646 below. On September 20, 2001, Judge Graham rendered a pre-fling injunction sua sponte, or on his own motion and without notice to the litigant Marcellus M. Mason. See Docket Entry Number 878, (D.E. # 878) . Page 3, of this document boldly asserts: THIS CAUSE came before the Court sua sponte. This type of injunction is commonly referred to under several different names: “leave to file injunction”, “vexatious litigant injunction”, “pre-filing injunction”, “filing injunction”, “1651 injunction”. This order was rendered when the matter had been on appeal since June 25, 2001. This fact creates a potential jurisdictional problem. See Post, “Eleventh Circuit: Notice of Appeal Does Not Divest District Judge of Jurisdiction of Matters Involved In the Appeal!” to see how the Eleventh Circuit dishonestly handled this problem. For specific case law on sua sponte issued injunctions, see Case Law On Pre-Filing Injunctions, below. The sua sponte issued pre-filing injunction of September 20, 2001, like Indiana Jones in the Temple of Doom, has escaped a virtual labyrinth of appellate review attempts. The Eleventh Circuit has had multiple opportunities to rule on the validity of the pre-fling both before and after the initiation of the criminal contempt complaint. The reasons for refusing to review the sua sponte issued pre-filing injunction have been dishonest and even inconsistent. On Apr. 23, 2002, Court Strikes Appellees brief for citing the order of September 20, 2001. However court refuses to make Appellees file new briefs as they did the Appellant. On Oct. 16, 2002, the Court, Stanley F. Birch, Jr.,Susan H. Black, and Stanley Marcus, affirms Judge Graham. At pg. 14, Court specifically uses the September 20, 2001 that it stated to Mason was “beyond the scope of appeal”. Although Mason has not filed a notice of appeal from the district court’s order denying IFP or the omnibus order requiring Mason to get court approval before filing any additional pleadings or lawsuits, Mason may raise all of these issues on appeal. See generally, Procup v. Strickland, 760 F.2d 1107 (11 th Cir. 1985) (reviewing the district court’s order enjoining a defendants from filing additional pleadings unless they were first submitted by an attorney admitted to practice in that court); United States v. Bailey, 175 F.3d 966 (11th Cir. 1999) (reviewing a district court’s decision not to recuse itself for abuse of discretion); Camp v. Oliver, 798 F.2d 434 (11th Cir. 1996) (reviewing district court’s order denying IFP for abuse of discretion). At pg. 2, the Eleventh Circuit asserted the following: “Furthermore, Mason appealed the dismissal of his case as well as the district court’s injunction order of September of 20, 2001...” See Pg. 2. The Eleventh Circuit has declined to review the sua sponte issued pre-filing injunction on other occassions as well. See Appellate History. AUSA Robert Waters, with the full consent of his boss, US Attorney Marcos Daniel Jimenez, who signed the information, went ahead with a criminal contempt conviction and prosecution that they knew or should have known was based upon a clearly void order. See Case No. 02-14020, Docket No. 6. 18 U.S.C. § 401(3) states: (3) Disobedience or resistance to its lawful writ, process, order, rule, decree, or command. 18 U.S.C. § 401(3) expressly calls for a “valid order”, which does not and cannot include a void order. Mason moved to dismiss the information because the order it relied upon was void. A motion to dismiss the information this information was filed on November 27, 2002. See Document No. 4. This petition, among other things, including excoriating Judge Graham, argues that a pre-filing injunction issued in violation of due process is void and hence, can not form the basis of a criminal contempt complaint. This matter was placed in suspense on July 30, 2003. Docket Entry No. 9. On March 8, 2004, Mason files a Second Motion to Dismiss. Docket Entry No. 35. On March 4, 2004, Mason filed a motion with the court asking for a ruling on his motion to dismiss that was submitted on November 27, 2002. See Docket Entry No. 31. On 03/11/2004, the Government finally decides to respond to the Motions to Dismiss. See Docket Entry No. 36. This response does not answer the central question of why an injunction issued in violation of due process is not void. As a matter of necessity, the Government’s position is that Judge Graham is free to violate the clearly established edicts of the United States Supreme Court. Mason’s motions for due process hearing and publication are meritless. The due process claim concerns Judge Graham’s September 20, 2001 Omnibus Order enjoining Mason from filing pleadings or new lawsuits without first obtaining court permission. The proper venue for contesting the constitutionality of that order is the United States Court of Appeals, not this Court. Indeed, the Eleventh Circuit dismissed Mason’s appeal of the September 20, 2001 Omnibus Order. (Case no. 99-14027-CIV, DE #922.) Moreover, Mason’s demand that this “matter” be published is without authority. See Docket Entry No. 44. Defendant Mason cites Fed.R.Civ.P. 60 (b) (4) as legal authority for the relief he seeks. This is an invalid assumption. The defendant was convicted of criminal contempt; which is obviously a case that is criminal-in-nature, and governed by the Federal Rules of Criminal Procedure. There is no civil aspect to the Defendant’s conviction. The judgment clearly states he was convicted in a criminal case. Fed.R.Civ.P. 1 states that the Rules, including Rule 60(b), apply only to cases that are civil in nature. Thus, the Defendant’s legal basis for his requested relief is incorrect and his motion must be denied. On October 16, 2007, four months after motion was filed, Magistrate John O’Sullivan, renders a Report and Recommendation, “R&R”. See Docket Entry No. 118. This R&R was quickly adopted by the district judge on October 31, 2007. Docket No. 124. Mason was arrested for a parole violation on or about October 15, 2007 and stayed in the Federal Detention Center in Miami, FL, without bond on an underlying misdemeanor, criminal contempt, until approximately November 29, 2007 (41 days). Additionally, Mason was not properly served because the R&R was returned to sender because the wrong address was entered. See Docket Entry on December 6, 2007. Upon release from jail, Mason files three motions with the court;Defendant’s Notice of Non Service and MOTION for Leave to File Objection to REPORT AND RECOMMENDATIONS, (D.E. #132); OBJECTION TO REPORT AND RECOMMENDATIONS, (D.E. #133);MOTION to Modify MOTION to Vacate conviction and Withdraw a Remedy, (D.E. #134). Having said this, the Magistrate’s R&R does not address the legal points raised by Mason instead Judge O’Sullivan adopts the tact that a void order can be made valid or bootstrapped by a later filed criminal contempt complaint. Frankly, much of the R&R is dishonest and untruthful. This R&R is really an interesting read in garbage and junk legal theory. Since the Magistrate attempts to bootstrap the sua sponte issued pre-filing injunction with the collateral bar rule, Mason obliges the Magistrate by filing a motion to modify and removes the request to vacate the conviction leaving only the issue of whether or not a sua sponte issued pre-filing is void. See MOTION to Modify MOTION, (D.E. #134). Consequently, the sua sponte issued pre-filing injunction is left standing on its own merits. 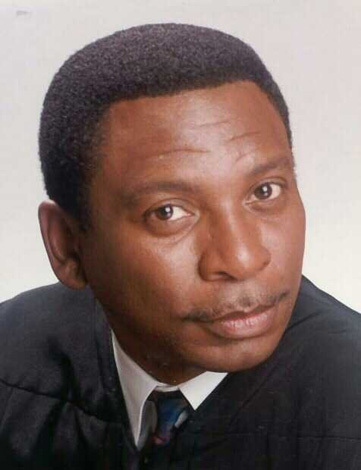 Judge K. Michael Moore, a United States District Judge, certainly has the jurisdiction to render a civil judgment and particularly on a matter brought to him. On January 4, 2008, Judge Moore had to issue an order to the Government requiring a response. See Docket No. 135.
affirmed by the Court of Appeals in April, 2003. Case No. 99-14027 (DE 929). for Leave to File objections to Report and Recommendation, filed December 21, 2008  and Defendant’s Motion to Modify Motion to Vacate Conviction and Withdraw a Remedy, filed December 26, 2008 . The Court having considered the record, having reviewed the above motions, the government’s re ponse thereto, and arguments at hearing on March 3, 2008, and being fully advised in the premises, it is ORDERED AND ADJUDGED that the said motions are hereby DENIED, it is further ORDERED AND ADJUDGED that Defense counsel’s are tenus Motion to Terminate Supervised is hereby GRANTED. Defendant’s term of supervised release is hereby terminated this date. A Notice of Appeal was promptly filed on March 13, 2008. See Document No. 142. A motion to proceed in forma pauperis was filed on March 13, 2008. See Document No. 143. The motion to proceed in forma pauperis was referred to a Magistrate where it is still under consideration. On April 23, 2008, Mason submits a “MOTION for Rule 60 (b)(5), MOTION for Order to Show Cause“. See Document No. 144. This motion seeks two things: (1)to force Highlands County Board of County Commissioners, civil defendant, and beneficiary of the system’s largess, to file a brief with the court stating why a sua sponte issued pre-filing injunction is not void and should not be vacated;(2)to vacate the sua sponte issued pre-filing injunction prospectively under Fed.R.Civ.P. 60(b)(5). To date Highlands County has not responded and according to Local Rules the motion should be granted as Highlands County has had more than the required 10 days plus mailing to respond but has not done so. Chief Judge J.L. Edmondson, Circuit Judge, does not consider knowingly convicting a man of crime that does not exist or a concocted crime, is not misconduct under the Judicial Misconduct and Disability Act. Stated alternatively, Judge Edmondson does not consider framing an innocent to be covered under the Act. This post will not characterize Judge Edmondson’s words, this author deplores the reader to read them and make your own judgment. See Complaint of Judicial Misconduct, Case No. 05-0011. Highlands County asked and got Judge Graham to dismiss a lawsuit because of alleged violations of these orders, which Mason contended on appeal, were illegal. (For a completely different story and more dishonesty see how the Eleventh Circuit was willing to discuss Mason’s alleged violations of these orders while steadfastly refusing to review these very orders for validity, see posts, “Eleventh Circuit Repeatedly Refuses To Review Orders For Validity” and “A Federal Magistrate May Issue An Injunction So Long As He Does Not Call it An Injunction“) Highlands County filed two motions for sanctions in the form of dismissal of the plaintiff’s lawsuit. Docket Entry Nos. 511 and 646. These motions depicted out of court communications between Highlands County and the Plaintiff, Marcellus Mason. Judge Graham and his Magistrate granted these motions and dismissed the case on June 20, 2001. See Docket Entry Nos. 766 an and 791. Very Nice blog with good ideas ! Wonderful post! gud stuff.. What a match!! This is the 1st spot I understand any points around this. Who requires to consume time studying the expired SF Chronicle or N.Y. Times? Their broad newspersons’ bias is a great deal worse than the older “dead tree” media. I used to be very happy to search out this web-site.I needed to thanks for your time for this glorious read!! I undoubtedly having fun with every little little bit of it and I have you bookmarked to check out new stuff you blog post. The following time I learn a weblog, I hope that it doesnt disappoint me as much as this one. I mean, I know it was my option to learn, however I actually thought youd have something interesting to say. All I hear is a bunch of whining about one thing that you could possibly fix if you happen to werent too busy looking for attention. Once I initially commented I clicked the -Notify me when new comments are added- checkbox and now every time a remark is added I get 4 emails with the identical comment. Is there any means you may remove me from that service? Thanks! When I originally commented I clicked the -Notify me when new feedback are added- checkbox and now every time a remark is added I get 4 emails with the identical comment. Is there any way you can remove me from that service? Thanks! Once I initially commented I clicked the -Notify me when new comments are added- checkbox and now each time a remark is added I get 4 emails with the identical comment. Is there any method you’ll be able to remove me from that service? Thanks! I’d need to verify with you here. Which isn’t something I often do! I take pleasure in studying a post that can make people think. Also, thanks for allowing me to comment! Jesus Christ theres plenty of spammy feedback on this page. Have you at any time believed about trying to eliminate them or putting in a extension?